Setting a goal is important, it helps us bring our ideas to fruition by enabling us to focus our resources, prioritise and, in some instances, it supports our development as we need to learn new skills or knowledge in order to achieve our goal. Yearly objectives don’t work, our brains aren’t wired for it. I’m reading Y. N. Harari’s Sapiens at the moment and he confirms that our hunter-gatherers’ brains weren’t made for long-range planning but for short burst of activity. Long-term planning opens the door to procrastination and loss of focus therefore stress, all of which don’t help with achieving our goals. Obviously we’ve developed ways to counter that challenge – think gantt charts that take up an ENTIRE wall – or rather expensive (but oh so pretty) goal-getting diaries or cumbersome systems designed to simplify achieving our objectives (yep you read that right). For years I focussed on 12 months-plan and it was a long, painful drag. The moment the lightbulb went off, thanks to my coach, going for my objectives has become a lot easier. It’s not that I work less for them, on the contrary, I’m a lot more fired up as I no longer feel like I’m working FOR the process! What works is a 90-day plan because it is short enough to keep the momentum and enthusiasm going and long enough to see results. In this article I’ll describe how to set and achieve a personal career goal however the process is pretty similar if you wish to use it for achieving the objectives set with your organisation. I’d even argue that steps such as setting an intention, which may feel highly personal, would really help you achieve a big hairy business goal. The key to this method is to shift your focus. Set a yearly goal that’s fine, as a biz owner I feel it’s essential, but focus on the “now” actions: it is these actions, one after the other, that will deliver your yearly goal. This is optional but an intention (more inspiring than a strategy and more pragmatic than a vision) enables to set the tone of your professional year and clarify your objectives, plus it comes in handy when opportunities are dangled in front of you, to avoid the “squirrel” effect. As an example, here’s my professional intention for 2018: “Empowerment”, to feel empowered at all time in my business and support the empowerment of my clients and colleagues. Throughout the year I will ask myself if an offer, an opportunity, my daily actions are aligned with my intention and proceed accordingly. And I write it down on each page of my diary/journal to ensure it’s always front of mind. It needs to be SMART (Specific – Measurable – Achievable – Realistic – Timed), don’t skip that step as that’s what makes your goal tangible whilst stretching so it gets the enthusiasm going. “Get a promotion” is not a SMART goal: it has no timeline, is it realistic? if you started in December in an organisation of 4 people maybe not – how will you measure it? you could be given additional responsibilities but no official title, does that achieve your goal? 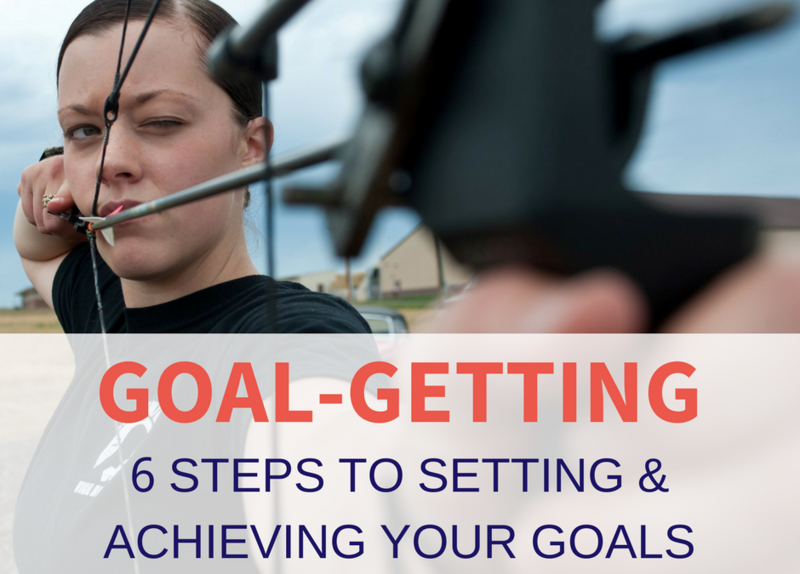 In step 3 you are identifying HOW you are going to achieve your objective. You shouldn’t have more than 4/5 buckets here. If you feel that you need many more have another look at your goal as it may not be specific enough. Also be realistic, again I use my example: my husband is going abroad for several weeks in Q1 (heck the WHOLE of Q1!) therefore I will be on my own to look after our 2 children, I’ve set my Q1 objective to reflect that and I’ve only got 3 HOWs. It wasn’t an easy decision but as it’s a new situation for me I was keen to limit risks of failure. You’re picking up the pace now, a brisk jog I’d say?! For each “HOW bucket” you create a 2 to 3 weeks execution plan. Why this relatively short timespan? Warning: this is NOT the mile long to do list. Now’s time to get granular and precise: EACH action from your Execution plans is detailed, timed, timely and in the diary: who, what, when. Don’t skip that part, I’ve tried believing that my strategies were clear in my head so I was good to go on the “to do’s” and days went, life happened and I hadn’t got as far as I expected so do write down your actions and make sure to get them in your diary. Everyday your actions take you closer to achieving your Execution plan which enables you to achieve your strategies which take you to your objective. This process enables you to get results within 2 to 3 weeks which feeds your confidence and keeps your momentum going so you achieve more. Virtuous circle, no cumbersome tools or process required. There is another step to really help you achieve your objectives and grow as a leader. Don’t work alone. It is much harder to sustain your focus and energy level if you are alone and it is a lot easier to not see through your actions. Even if you feel your objective is highly personal surround yourself with a small group of peers that will cheer you on, challenge you, inspire you and hold you accountable so you don’t fall back into your “stories” or limiting beliefs (and we all have them), wriggle out of your actions and feel disappointed when your goal is not achieved. If you are serious about your career or business objectives I suggest you join a mastermind group (I’m launching my UK one in the autumn!) or work with a Coach, we’re masters at support, accountability and getting you out of your own head! Only set actions over which you have control (directly or indirectly if working with your team). The rest is either wishful thinking or a source of frustration, either will take your eyes and energy off the ball. If like me you are a recovering control-freak, be warned that it won’t be easy but it is worth it. That’s OK, be clear that you don’t have to run the 42k at Usain Bolt’s pace because that’s when it becomes tricky (read failure, burnout and other nasties). Be clear, set a framework and have boundaries. That’s life and this method will make you a lot more agile and adaptable. However don’t throw everything out at the slight hurdle. Take a step back, assess the impact of the ball 😉 and make the appropriate changes. It doesn’t have to be big but it needs to be significant for you. It’s that sapiens’ brain again that needs to be positively reinforced to stay focussed on the job at hand. If no-one else does, tell yourself about your achievements. In our fast-paced organisations that is the one thing we often overlook and it makes such a difference in keeping our energy level up and to stay motivated. Please recognise your team members and if your manager doesn’t then pat yourself on the back. That’s when a mastermind group or a Coach is key. Next time I’ll talk about mindset as it is key in achieving our goals. With mindset and method you’ll sure to hit your goals! There is still time to get the 5-part video series on how to get an annual review that sets you up for career success. It will help you make the most of your AR so it feeds into your goal-setting. The video series will be taken off line on 26/01, so click HERE to get hold of it. Why not talk through your career objectives during a free, 30 mins consultation? Book yours HERE. If you have questions don’t hesitate and drop me an email, happy goal-getting!